A one-day, general admission ticket entitles the ticket holder to enter the event on Saturday, October 6, 2018, from 10:00 a.m. to 5:00 p.m.. Special events held before, during and after the event may require a special ticket which may incur an additional fee. A one-day, general admission ticket entitles the ticket holder to enter the event on Sunday, October 7, 2018, from 10:00 a.m. to 5:00 p.m.. Special events held before, during and after the event may require a special ticket which may incur an additional fee. A VIP ticket entitles the ticket holder to enter the event at 9:00 a.m. on the day specified, (either Saturday, October 6, 2018, or Sunday, October 7, 2018), which is one hour earlier than general admission on those dates. VIP ticket holders may receive focused, personalized attention from vendors in a less crowded atmosphere before the exhibit hall opens for general admission. Other special events held before, during and after the VIP Tour and standard event may require a special ticket which may incur an additional fee. Each ticket is valid for entry at the times on the day specified. 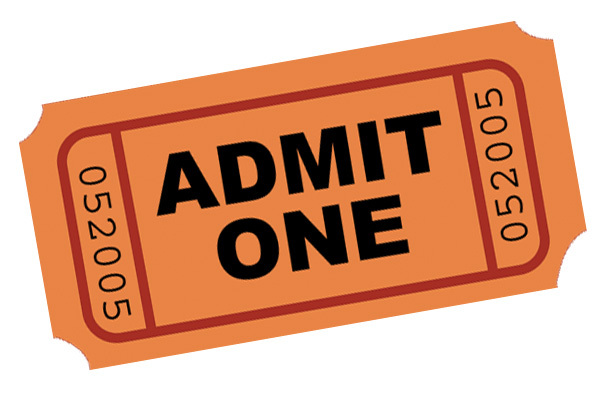 Tickets (paper or electronic) will be scanned on entry and will not be valid for re-entry once scanned. Your ticket may be invalidated if any part of it is removed, altered or defaced. Upon purchase, please check tickets carefully and report mistakes immediately. All ticket sales are final and no refunds are guaranteed. The Promoter will not be responsible for any ticket that is lost, stolen or destroyed. You are solely responsible for the safe-keeping of your ticket. It is not always possible to issue duplicate tickets. If duplicates are issued, a reasonable administration fee may be charged. Ticket holders must conduct themselves in a respectful, civil manner while on event property. Anyone engaged in misconduct as determined solely by the promoter will be escorted from the premises and barred from re-entry. This is a popular event which may draw large crowds of people resulting in lines to enter the venue and see high-demand exhibits. The anticipated peak times are Saturday morning and early Sunday afternoon, but may not be limited to those times. Please plan for extended wait times. Children age 12 and under may enter the event at no charge if accompanied by a paying adult. Children are not required to have tickets for entry. Children may not be present during the Saturday evening networking event. The doors will remain open on each day until the announced closing time. No minimum period of attendance is guaranteed to late-arriving ticket holders. Food will be available for purchase and is furnished by the venue. Food service workers are volunteers from a local charity. We encourage visitors to support their efforts. Only food and beverages purchased on site at the Howard County Fairgrounds may be brought into the exhibit hall. Parking will be provided free of charge. Rain or shine. The event will be held as scheduled regardless of weather conditions. Join our list to stay informed about our events.